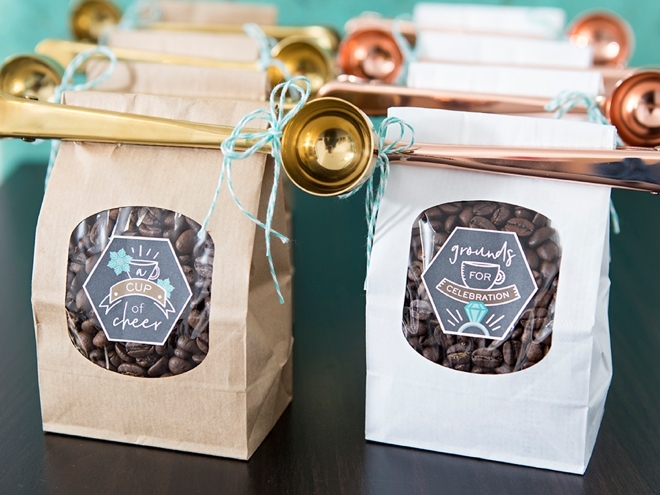 These DIY Coffee Favors With Metallic Scoops Are The Cutest! 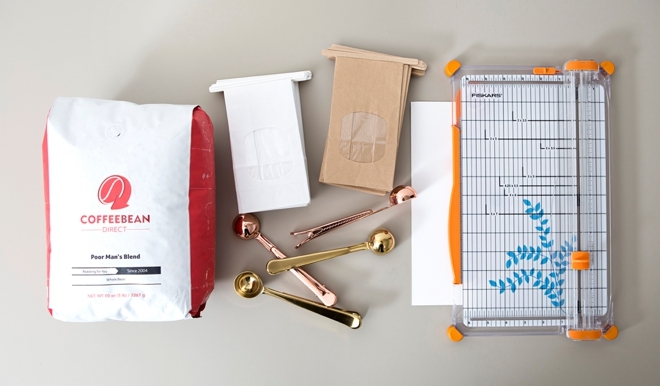 Are you and your fiancé coffee lovers? 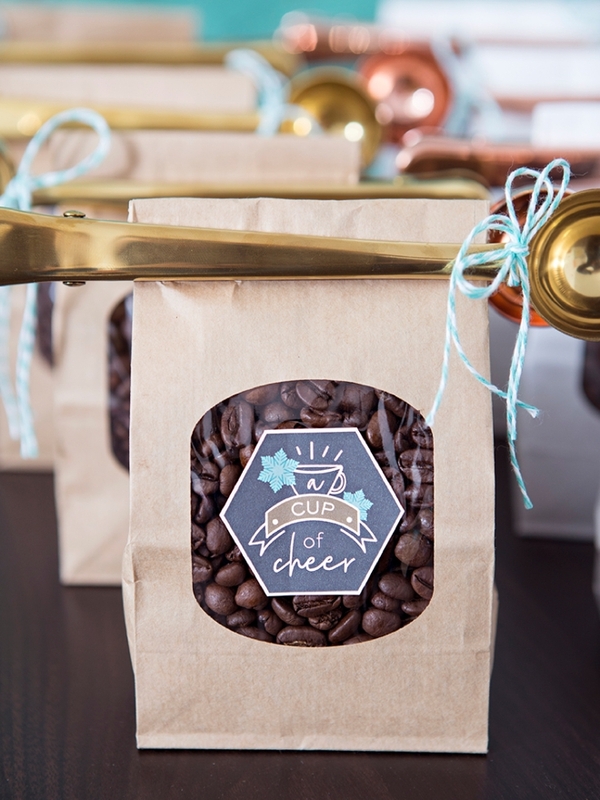 If so, we have the cutest coffee favor idea for you today! 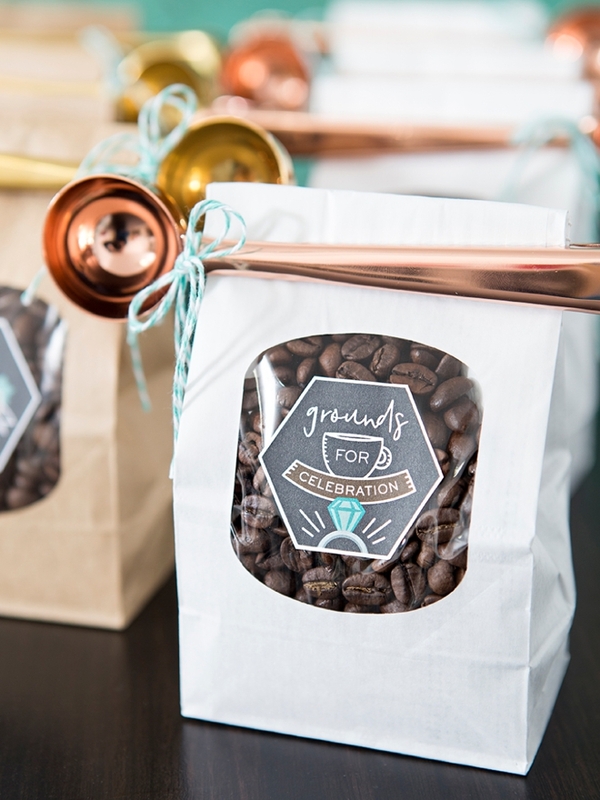 You can create these darling Grounds for Celebration favors and let them speak to your love of the java. Similarly, if you love coffee, I’m sure your friends, neighbors, and co-workers do too! 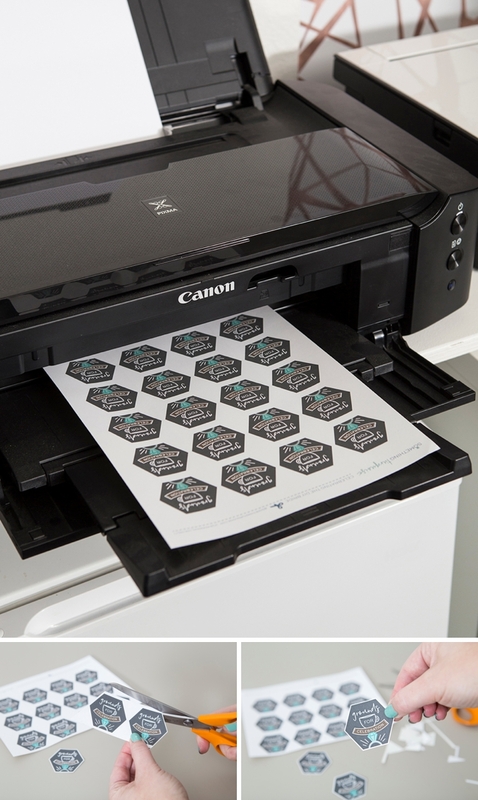 So since it’s Day #3 of Favor Week, we’re also sharing a printable label for holiday gifts! 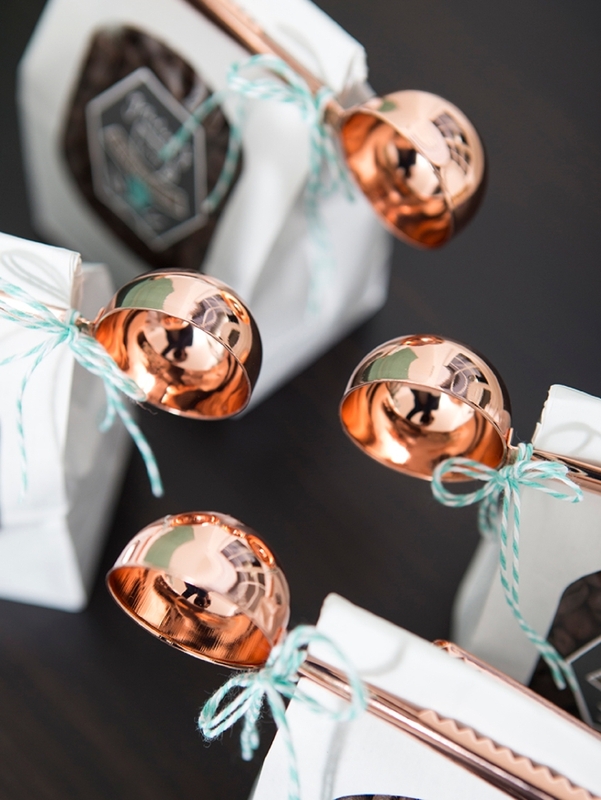 With or without the darling metallic scoops, these caffeine laden gifts are sure to perk up your favorite people! 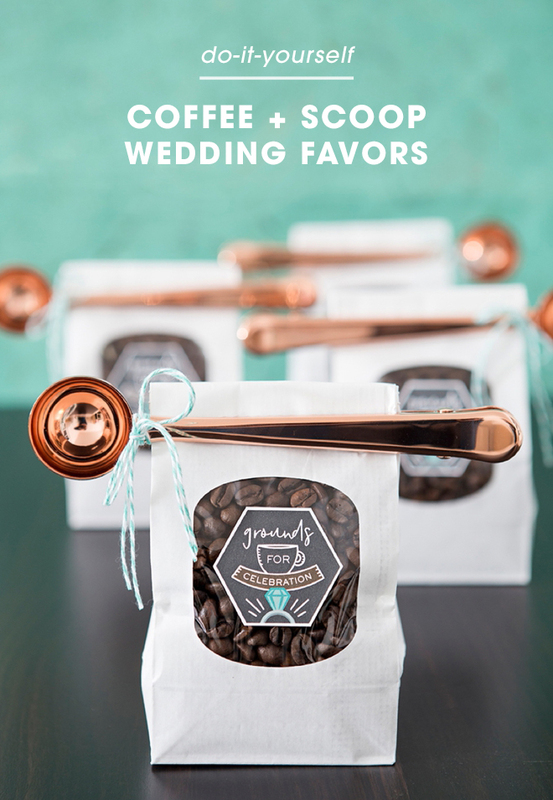 These adorable coffee gifts would work perfectly for your wedding favors or for the holidays! 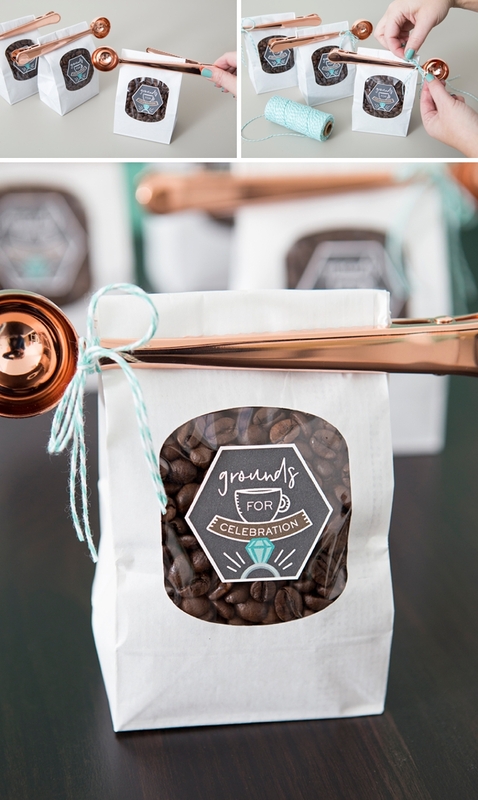 The metallic coffee scoops double as coffee bag clips and are guaranteed to impress any coffee lover on your list! 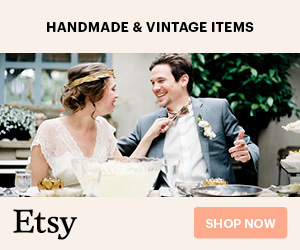 Download your choice of either holiday or wedding label at the end of the post, then print onto 8.5″ x 11″ sticker paper. Trim on the lines provided. 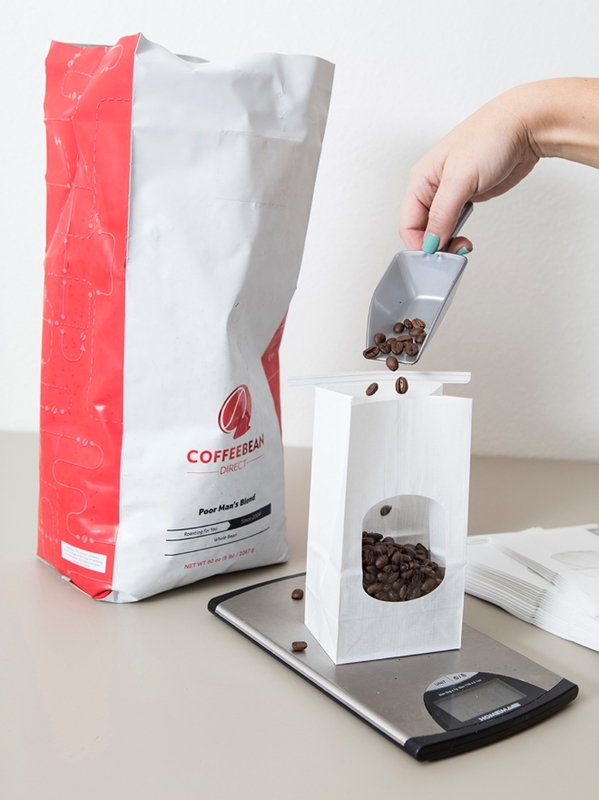 These bags from Amazon say that they hold 12oz., but the best weight for these whole beans was only 6oz. Which leaves enough room to fold and seal the bags without them bursting at the seams. With a 6oz. 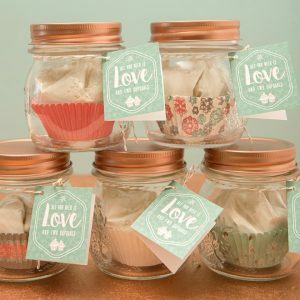 breakdown and all supplies considered; without the scoop these favors would cost right under $3.50 each, with the scoop they’ll run about $9.50 each. 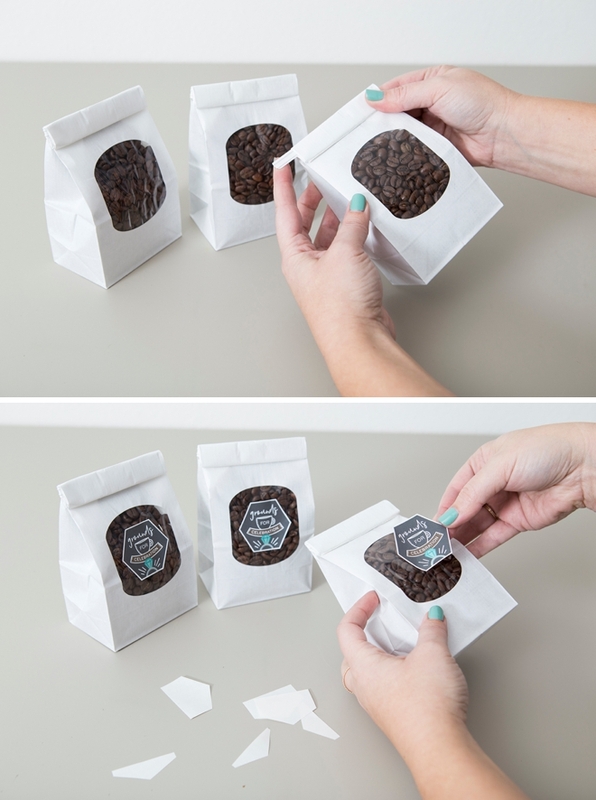 Seal the coffee bags. Remove the sticker backing and apply to the front of the bag. 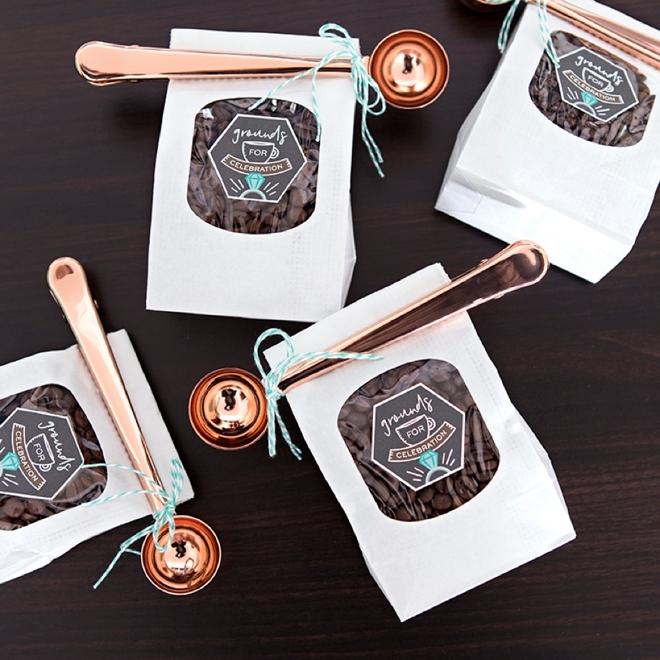 Add the scoop across the fold of the bag, yes these darling scoops also double as a coffee bag clip! 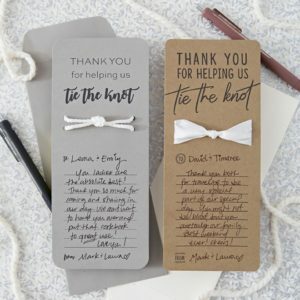 Add a twine or ribbon bow to finish off the package. SO cute! 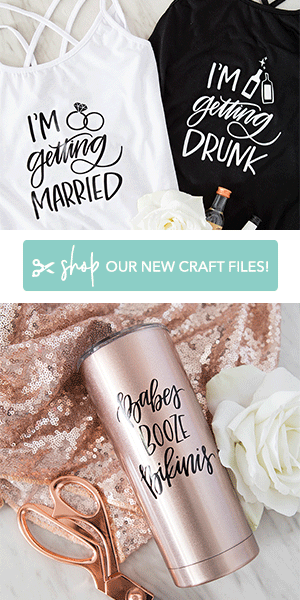 At $3.50 sans scoop and $9.50 with it, these favor gifts are right on the money. 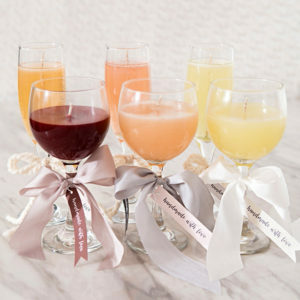 With a wedding favor like this, you can easily give just one per family or couple. 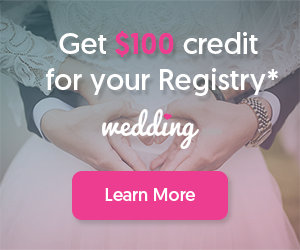 The addition of the scoop would be a great idea for just your bridal party and/or vendors. 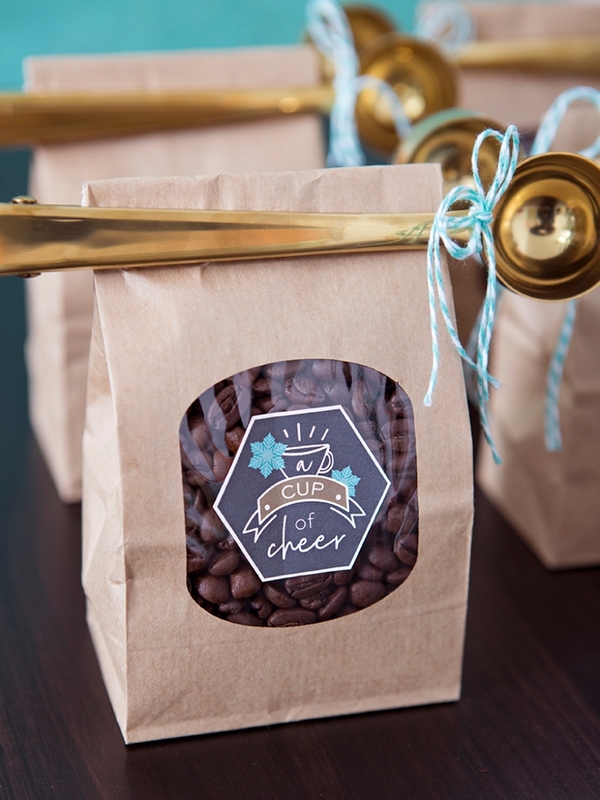 As for the holidays, the bag with the scoop is the most perfect hostess idea, neighbor or co-worker gift at a terrific price!